You are here: Home / Blog / Coaching / Looking for a Life Coach? Looking for a Life Coach? Not everybody needs a therapist and not everyone who is ‘stuck’ has a mental health issue. Some people just have problems to solve or difficult decisions to make; while others simply need to believe in themselves a little more than they do to make big changes in their lives. Which is where coaching comes in. Life coaching is a little different from psychotherapy and counselling, although it shares some similarities. The coaching process helps you to address specific personal projects, business successes (or lack thereof), general life conditions and transitions from one stage of life to another. Coaching guides you through obstacles in either your personal or professional life and helps you to choose a course of action that takes you from where you are to where you want to be. 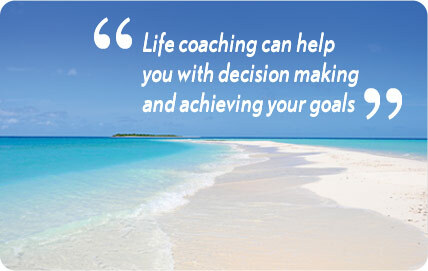 A life coach is someone that empowers you to make, meet and exceed your goals in life. So, whether you want to reassess your priorities, gain some direction or challenge negative belief systems, a key aspect of coaching is confidence. Coaching has been defined as, “the art of facilitating the performance, learning and development of another,” and is a tool for assisting personal growth. Just as there are umpteen different therapies (from umpteen different schools of thought), so too are there a number of different approaches to coaching. When it comes to coaching, the highly successful, evidence-based framework of cognitive behaviour therapy (CBT) applies just as well. With it comes a specific branch of coaching known as cognitive behavioural coaching (CBC). Just like CBT, CBC follows the philosophy that it is not the events in life that disturb you, but what you tell yourself about those events that disturbs you. So, if you are thinking, feeling and acting in a way that you don’t like, but don’t seem to be able to change, it’s not because of the ‘thing,’ it’s down to what you are telling yourself about the ‘thing.’ Change what it is that you tell yourself, and you change how you think, feel and act. 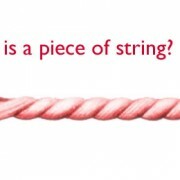 And that ‘thing’ can be anything: A setback in your personal or professional growth, a relationship problem or interpersonal difficulty, a difficult decision you can’t quite make, an unhealthy lifestyle you want to rein in, performance issues and more. CBC takes the highly effective strategies of CBT and combines them with the practical tools and approaches of coaching to give you an easy-to-follow framework and a sensible, solution-focussed approach to mastering your unhealthy beliefs and achieving your goals. CBC is not the same as therapy, which usually assumes there is something wrong that needs fixing, and it’s not the same as mentoring (which is where you shadow someone in the same field as you, but farther ahead). Nor is it about giving advice. It assumes you have all the inner strength and resources you need to deal with life’s challenges and your coach is there to help you draw them out. So, if you don’t feel that therapy is for you, or if you feel awkward around notions of ‘mental health’ maybe coaching would be a better fit for you. http://www.danielfryer.com/wp-content/uploads/2013/04/new_logo.png 0 0 Daniel Fryer http://www.danielfryer.com/wp-content/uploads/2013/04/new_logo.png Daniel Fryer2015-12-07 18:31:032015-12-07 18:32:33Looking for a Life Coach? Brief Therapy, Just How Long Is It? 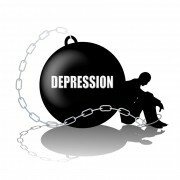 Depression: Do You Even Have It? Work: Are You Buckling Under the Strain?